Manchester United veteran right-back Antonio Valencia is set to leave the club at the end of the 2018-19 season. The Ecuadorian, whose contract is coming to an end this summer, wasn’t handed an extension by the club. Now, it seems likely the Valencia could be on his way to the United States, with a stint at DC United on the cards. The DC United link for Valencia has surfaced after the player liked a tweet that said he is in line to make a switch on a two-year deal. Besides that, a report stated that the player’s father, Luis, recently revealed to Area Deportiva that the 33-year-old has an offer from an unnamed MLS club, which consists a two-year deal on the table. Both these instances make it likely that Valencia has identified his next club. There were reports earlier that he may switch to the Serie A, but it looks like Valencia’s European journey is all but over. The winger-turned-full-back has hardly played this season, with injury issues consistently plaguing him. He also endured a difficult campaign form wise last term, under former boss Jose Mourinho. 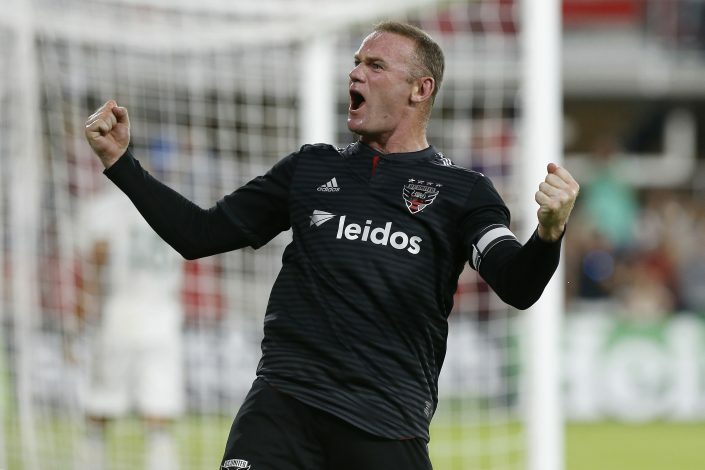 Valencia joining DC United will reunite him with former teammate Wayne Rooney. The Manchester United record goal-scorer move to the MLS last season, and has been impactful with some strong performances. Valencia will look to regain his form and fitness on a new continent. He is also set to become the fifth United player in recent times to have made a switch to USA. Besides Rooney, the likes of Zlatan Ibrahimovic, Bastian Schweinsteiger, and Nani are currently plying their trades in the MLS. Valencia, who joined Manchester United in 2009, made 338 appearances for the club, besides netting 25 goals and bagging numerous trophies.